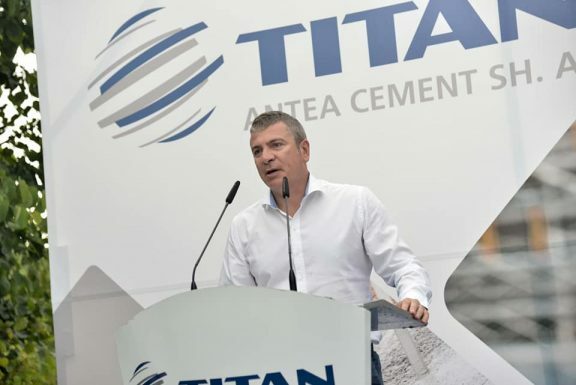 Infrastructure and Energy Miniser Mr. Damian Gjiknuri, declared that ANTEA Cement part of TITAN Group and the Albanian Road Authority will engage in the reconstruction of Droja’s bridge that was severely damaged by floods several months ago. The proposed reparation works for the bridge that links Mamurras to Thumana and Fushë Kruja will demand 1 million Euro investments that will be entirely covered by ANTEA Cement. “We are working with more investors to implement similar projects, in other parts of Albania”, Minsiter Gjiknuri noted. In a few months the bridge will be open for traffic and the local community. The floor of the new bridge will have a 10.5 m width and sidewalks and it is planned to complete in the next four months.